This part fits most 1955-1976 Jeep CJ5 & CJ7 models as this is a Universal fit part. Great item that is true to the style. they fit perfectly into one of our Jeeps. I would do business again. 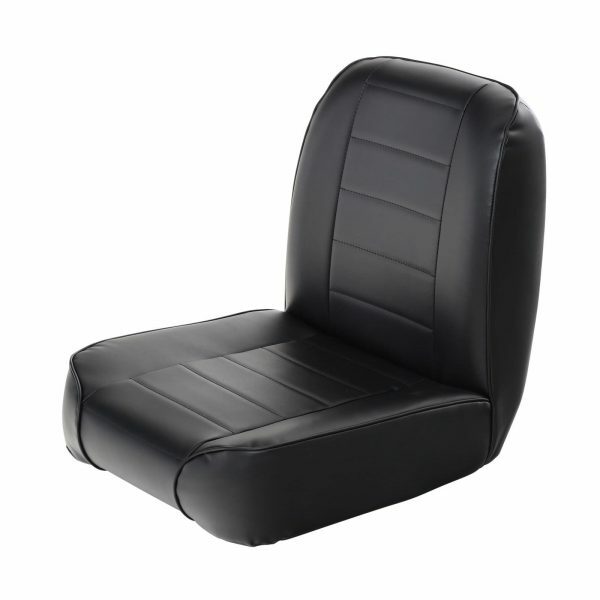 I ordered this seat as a replacement for a 1970 scout and it worked perfect was a very close match to the stock seat. I bought this on blind faith that I could make it fit in my TJ. I got the exact measurements from the manufacturer and it seemed that it would be OK. I was pleasantly surprised, it fitted easily on the stock sliding mechanism with some simple home made brackets and two 1.5 ” wide steel strips cut to a length that equalled the width of the seat. 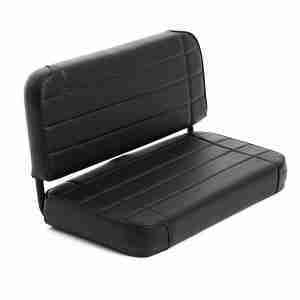 Its a great and comfortable seat that as good as water proof and looks so cool in my TJ. I have an 82 cj7 and these bad dogs bolted right in and I’m totally happy love the low backs and for the price. Saved me time looking for used ones then having to get them re covered would of been some major bucks. I have a 1974 CJ5. Drivers side bolted up to the slider perfectly. Very comfortable. Picked up two of these for our early CJ5 restoration. Seats are very comfortable and seem to be holding up well. 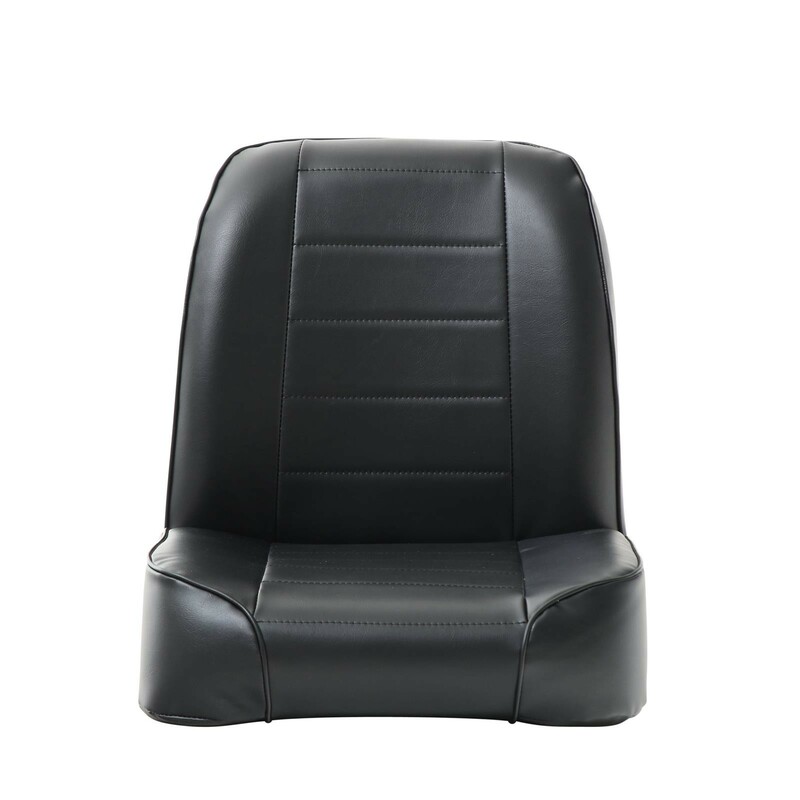 These run a little thicker in the seat making them comfortable – but on the negative if you are taller they push your line of sight up towards the top of the windshield. I feel like Tom Selleck driving the little red Ferrari in Magnum PI at times! Other than that no complaints. They are foreign made. 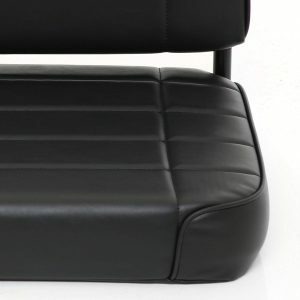 When cargo space is needed, just fold & tumble the seat forward and store it out of the way behind your front seats. Installs easily with minimal drilling. 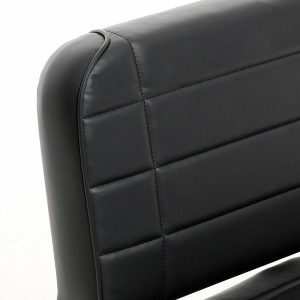 This fold & tumble seat matches the factory style replacement seat pattern.